Equitymaster requests your view! Post a comment on "Elections Don't Matter!". Click here! 3 Responses to "Elections Don't Matter!" 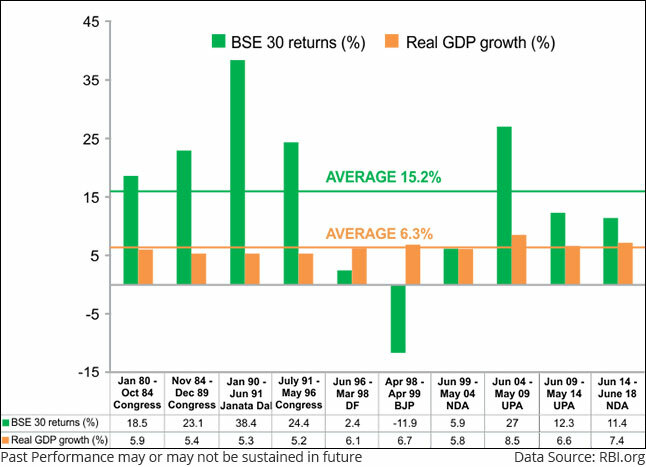 2) For calculating the average growth, the growth rate between 2014-18 is 7.4%. But then, in point No. 5, "most economists" deduct 1.5% from this new series (the average changes, but not by much). Now, if "most economists" agree to deduct 1%, then, that tells a much different story ! So, the point I would like to make is, the data is just insufficient to say correlation implies causation here; and I can't help but point out the use of words: "having a coalition government is probably a better outcome" has a subtle message compared to, say, "Coalition governments aren't a bad outcome". And yes, I agree that the India story wouldn't change much either way. "having a coalition government is probably a better outcome than having a single-party government": I do not agree with that. You did not include the other alternative (including all the data fudging to prove that growth rates are higher under coalition govts) that the correlation does not imply causation! 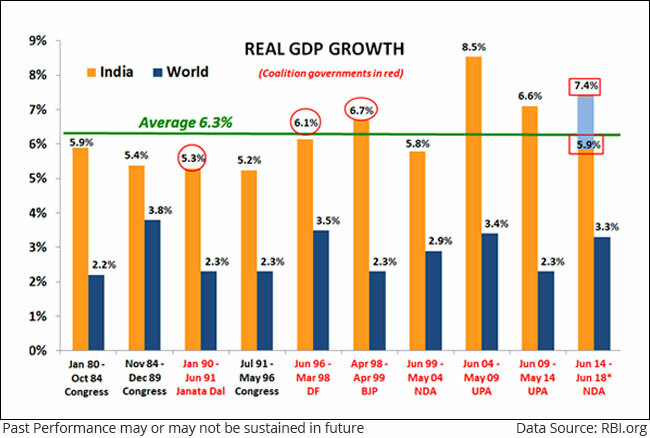 Moreover, you did not include the possibility that a single party government set the stage for a higher growth rate that a coalition government squandered away. Our experience from the last coalition government in memory is only that. But then, it doesn't suit the narrative you are trying to build.